Translation...DAY PANTS! 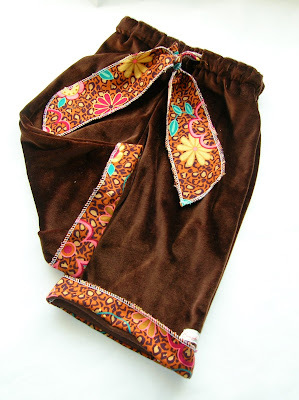 I decided to come up with a comfy easy to wear pants design for babies and toddlers, after all they deserve to be comfortable during the day as well as night. 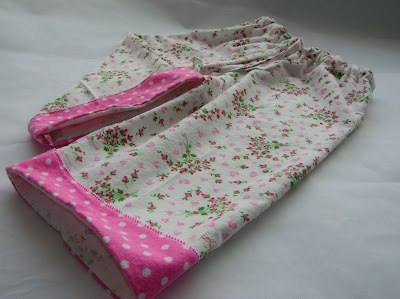 I made these extra roomy for those busy little legs to feel free in. Using super soft fabric just adds to the wonderful comfort. All are made with double stitched inseam and washer friendly fabric. Check out some others in my Etsy shop. Sizes start at 3 months. they look so comfy i want a pair! tho, the little legs that fill these will be so much cuter, i think. make some for boys, too! I love the combo on the first pair. I'm going to have to check out your shop! I am TOTALLY in love with these!! Seriously!! They are just adorable and look so cosy and comfy. I added you as one of my favorite blogs. Very nice.